By this year starting as your sign lord the Sun is in good place, you will get benefits. As the Mars is in good place, you will get benefits in real estate, house, and properties. As the Venus is in good place after this March, love, happiness and unity between husband and wife will increase. Although the planets are normal by the start of this year, you will get more benefits in the second half of the year. As the Saturn is in 6th place, you will get benefits. This is the good time for unemployed to get good job. Working people will get promotion. You will get success in court cases. This is the good time for politicians to get benefits. Care is needed in your food habit. Take natural food. As many planets are in 6th place, workload may increase. There will be a delay in marriage, childbirth. Some may depart your life partner due to your job. As the Raghu is in your zodiac, you will get some benefits. As the Kethu is in 7th place, problems will decrease. You will get benefits through strangers. Those who are waiting to travel abroad will get good opportunity. By this year end some will get chance to go for a picnic. As the Jupiter is in 4th place, you will get expected income. Fame in the society will increase. Working people will get benefits. Manufacturing business people will get benefits. As the Jupiter enters 5th place on 11/10/2018, benefits will increase. You will get rid of blocked marriages, childbirth and get happiness. Women will get expected happiness by this year end. Students will be good in their studies. This transit of Jupiter will give more benefits than the last Transit. In general this 2018 year will give you normal benefits. Benefits will increase in the second half of the year. Worship lord Murugan on Tuesdays and worship family god to get benefits. NOTE: The above said are general predictions only. 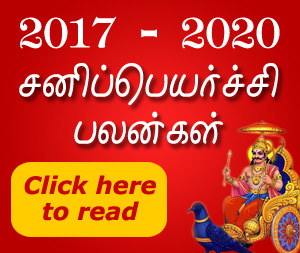 Contact me to know the benefits and drawbacks of your horoscope according to the positions of the Planets, Dasa and Bhukthi. Copyright © 2019 2018 Horoscope. All rights reserved.